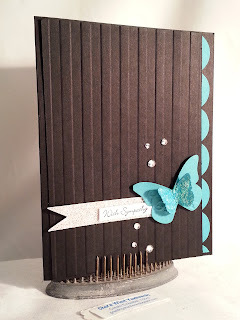 At Bloggers Challenge, its "to die for" and boy did I use the dies on this card today! 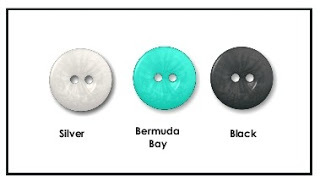 I have the Tasteful Trim (scallop), Butterflies and the Petal Cone (glimmer). I also used the Stripes embosslit for the Big Shot as well. 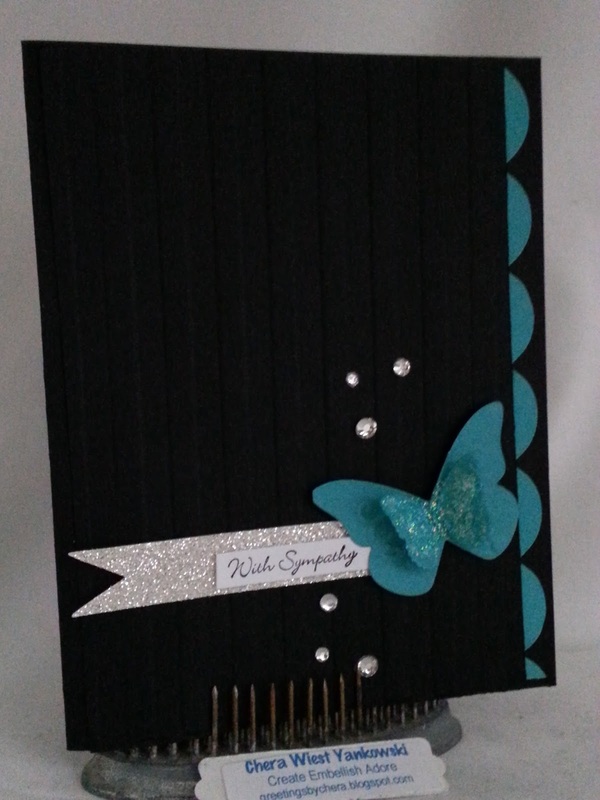 I added the rhinestones for some extra bling and quick sentiment - then wah laa... card completed! I loved the color challenge from Just Add Ink, so elegant! Chera, this is a really beautiful, elegant card. I love what you've done with the challenge colours from Just Add Ink - thanks for joining us this week! A lovely elegant card Chera, you've used the challenge colours beautifully. Thanks for playing at Just Add Ink this week. 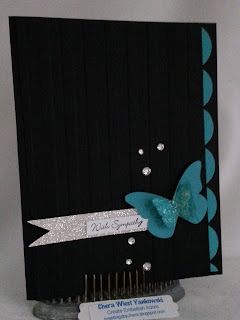 Beautiful Sympathy card - love the colors and use of the dies! Thanks for playing along with the Bloggers Challenge!